Pest control is like detective work, and I enjoy the process of discovering the root of any pest issue at each location I visit. 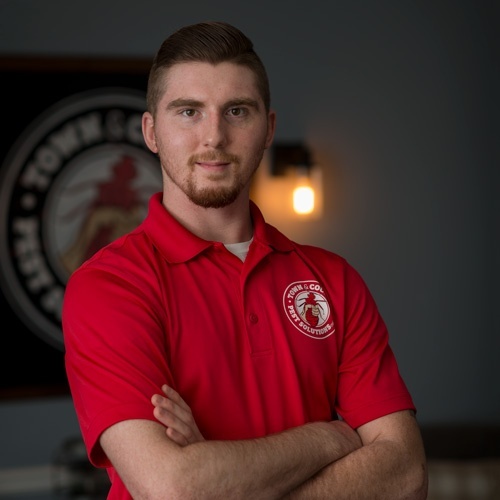 Through experience and education, I am proud to offer effective solutions to all of your pest needs as well as provide unparalleled customer service. When I’m not at work during the winter you’ll be able to find me on the slopes. I have been an avid snowboarder for years, and I enjoy the refreshing winter air. Zack was prompt, professional and personable. It was a pleasure working with him to obtain the certification required by my Mother's nursing home to confirm that her chair was pest free. You do a great job. i wish renewal of the 1 year plan were more automatic.